This is the first article in a series that aims to analyze the perspectives of revolutionary processes in Central America using the concept of permanent revolution. 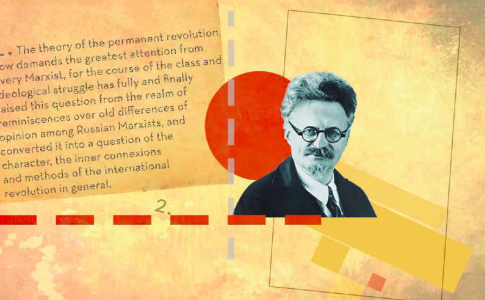 This series of articles aims to analyze the perspectives of revolutionary processes in Central America using the concept of permanent revolution, as codified by Leon Trotsky in his two best-known expositions of the theory: “Results and Prospects (Our Revolution),” written after the revolutionary upheaval in Russia in 1905, and the pamphlet titled “The Permanent Revolution,” written in 1928. The aim of this series is not to produce an academic analysis of the current conjuncture in the isthmus. 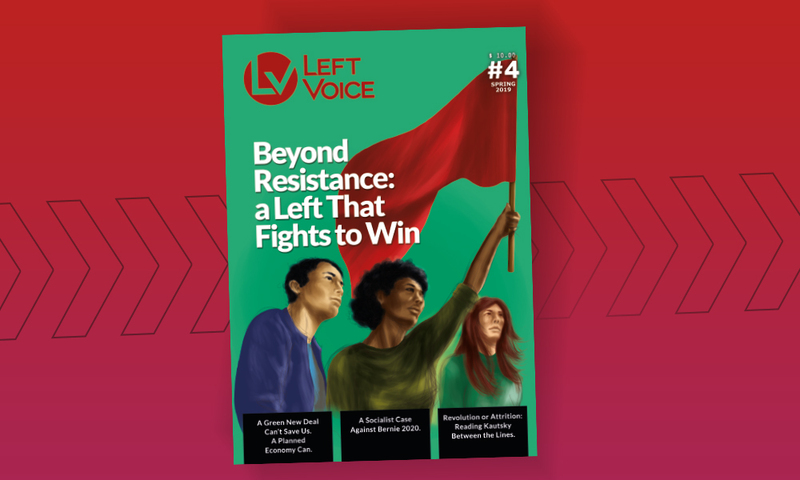 Rather, we want to provide a framework for the continuing discussion of the strategic and tactical political tasks for activists in the region’s revolutionary organizations. We also aim to generate a greater understanding of the processes at work for solidarity and anti-imperialist activists in North America and elsewhere. Note: In our usage, “Central America” refers to the five countries of the original Federal Republic of Centroamerica: El Salvador, Costa Rica, Nicaragua, Honduras, and Guatemala. Because Panama and Belize differ from these five countries in their historical development and composition, they are excluded. A fuller explanation of these differences will appear in Part 2 of this series. General Francisco Morazán looked up at the threatening sky on Thursday, September 15, 1842. Placing his hand on the shoulder of his friend and comrade-in-arms General Vicente Villaseñor, who was barely coherent because of the pain of his wounds, and who was tied to a cane back chair to keep him erect, Morazán said, “Posterity, my dear friend, will treat us kindly.” He then looked to the commander of the guard and, nodding, gave the order for the firing squad to do its duty. That Sunday, the bells of churches throughout Centroamerica rang out a message of revenge, celebrating the death of this revolutionary enemy of obscurantism and clerical reaction. History has indeed been kind to Morazán. He is to Centroamerica what José Martí is to Cuba, José de San Martín is to Argentina and Simón Bolívar is to the Patria Grande. Today, schools, parks and entire provinces bear his name. He was the quintessential liberal bourgeois revolutionary. His death symbolized the triumphant counterrevolution. In 1823, two years after declaring its independence from Spain after almost three centuries of colonialism, the Creole bourgeoisie of Central America met in Guatemala City to create the Federal Republic of Centroamerica. Its creation was a product of a “cold” independence process, that is, it was not the product of a revolutionary war for independence. In 1821 the self-proclaimed emperor of Mexico, Augustín Iturbide, who claimed Centroamerica as part of his empire, seized its capital of Guatemala City. He was opposed by a small army of Central American patriots, most of whom were petit bourgeois adventurers and mercenaries, along with a core of ideologically driven liberals like Morazán. They waged several battles from 1821 to 1823. But a truly national army and movement never materialized because neither the rural, indigenous peasantry nor urban artisans participated, given the small size of the Centroamerican population and the class composition of the revolutionary leadership. This structural weakness was to prove fatal to the national project, despite the temporary victory achieved in 1823 with the dissolution of Iturbide’s dream of empire. From the beginning, the attempt to construct a Centroamerican nation was fraught with contradictions, which history books often refer to as “the struggle between the Liberals and the Conservatives,” without, however, analyzing the class composition and relationships of forces that prevented successful nation building. Morazán’s program represented the political project of a fraction of capital associated with small-scale manufacturing, in alliance with the urban petit bourgeoisie (shopkeepers, functionaries and lawyers, as well as artisans), which wanted liberalized trade, an opening to foreign investment and a decentralized federal structure. This fraction, in general, constituted the nascent national bourgeoisie of Centroamerica. This project was opposed by an alliance between the large landowners, who upheld the old Spanish colonial regime, and the Catholic Church, which had provided not only an ideological justification for maintaining colonial governance but also supplied administrative expertise. In addition, the agrarian mercantilists, who wished to maintain their trade monopolies, opted for a strong central state, one that included an army that could quell peasant uprisings and a prominent role reserved for the Catholic Church. These two blocs engaged in an open civil war throughout the region from 1826 to 1840, by which time the Federal Republic was effectively dissolved. Morazán served as president of the republic starting in 1830, but his attempts to implement the program of the liberal bourgeoisie was repeatedly stymied by the conservative bloc. The failure of the liberal bloc to establish a nation and implement its democratic program was a product of the composition and relation of class forces. Unlike the “classic” bourgeois democratic revolutions of Europe and the United States, the small liberal bourgeoisie of Centroamerica had no urban plebeian mass such as the French “sans culottes” or the British Chartists with enough critical social weight to effectively crush the counterrevolution, despite the undoubted military prowess of Morazán. In addition, the liberal bloc was unable to ally with the indigenous peasant masses of Guatemala, the largest of the Centroamerican states, but instead allowed them to fall under the sway of the clerical reaction and their political representative, Rafael Carrera. After being convinced by the priests that an outbreak of cholera was the work of the devil in the form of Morazán and the Liberals, Carrera used the Guatemalan indigenous peoples as the shock troops of the counterrevolution. Carrera defeated Morazán decisively in March 1840, whereupon Morazán fled into exile in Peru and Chile, while Carrera took Guatemala out of the Federal Republic. The civil war between the liberal bourgeoisie and the feudal and clerical reaction, which stretched from Chiapas, Mexico, to Panama City, revealed both the relative strengths of the classes, both those in formation and those in dissolution. 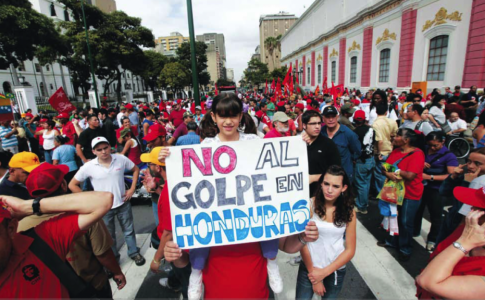 This crucial period in the history of Central America set the stage for the countless coups and countercoups, as well as the episodic civil wars, that shook the region well into the 20th century. Its character as a regional class struggle is symbolized by the 23 different attempts to reunify the national states under the aegis of the Federal Republic, with the final attempt codified in the Pact of San José in 1921. “The Great Stalemate” describes the uneasy truces realized in the 19th and early 20th centuries between the major fractions of urban and agrarian capital and the struggle played out between them, on the political as well as the military fields. Today in Honduras, for example, these fractions are represented by the Liberal and National parties. 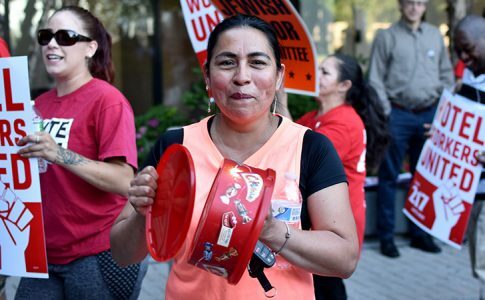 It wasn’t until the 1930s that the appearance of a militant Centroamerican working-class movement signaled the effects that imperialist penetration had on undermining this state of class relations, and it began pointing to the political solutions required to advance the national interest. The failure of the weak and divided national bourgeoisie verified the primary tenets of the theory of permanent revolution, and it formed the framework within which the law of uneven and combined development, the law which nourishes the Old Mole of history, produced the Great Stalemate. What Is the Permanent Revolution, and Why Is It Important? This contribution by Marx and Engels is of historic importance not only for the use of the term “permanent revolution,” but also because its content encompasses both the strategic and tactical questions of class independence and class alliances, and the form of working-class organization needed to carry out these revolutionary tasks. These questions remain at the center of the debate over revolutionary strategy today. In the 1850 Address, these leaders of the Communist League addressed five key questions: (1) the relationship between the proletariat, the democratic petty bourgeoisie (the urban middle class) and the peasantry, (2) land ownership (fundamental to solving the question of building a hegemonic revolutionary bloc), (3) the form of the bourgeois state, (4) the participation of the workers movement in bourgeois elections as a function of building class consciousness and class independence, and, finally, (5) building a democratic and centralized revolutionary workers party. The perceptive exhortations of Marx and Engels in their Address anticipate the great historical debates of the international workers movement. It zeroes in on the central issues of the permanent revolution, and it enunciates a central tenet of Marxism: that the struggle to complete the tasks of the bourgeois democratic revolution can no longer be left in the hands of the bourgeoisie itself, because it will train its fire, as quickly as possible after consolidating its position, on the workers, whose decisive weight in the revolution against feudalism and the monarchy lifted the bourgeoisie to power. 2. With regard to countries with a belated bourgeois development, especially in the colonial and semi-colonial countries, the theory of the permanent revolution signifies that the complete and genuine solution of their tasks of achieving democracy and national emancipation [his emphasis] is conceivable only through the dictatorship of the proletariat as the leader of the subjugated nation, above all the peasant masses. 3. Not only the agrarian, but also the national question assigns to the peasantry-the overwhelming majority of the population in backward countries-an exceptional place in the democratic revolution. Without an alliance of the proletariat with the peasantry the tasks of the democratic revolution cannot be solved, nor even seriously posed. But the alliance of these two classes can be realized in no other way than through an irreconcilable struggle against the influence of the nation c revolution grows over directly into the socialist revolution and thereby become a permanent revolution. . .
4. The dictatorship of the proletariat which has arisen to power as the leader of the democratic revolution is inevitably, and very quickly confronted with the tasks, the fulfillment of which is bound up with deep inroads into the rights of bourgeois property. The democratic revolution grows over directly into the socialist revolution and thereby become a permanent revolution. The theory of the permanent revolution identifies the drivers of revolutionary processes in general. The questions facing revolutionaries in Centroamerica are posed the following way: What is the national question in Central America, and what is its relation to the struggle against imperialism and the national bourgeoisie? What does an alliance between the proletariat and the petit bourgeoisie (peasants and urban “middle classes”) actually mean, and what are the correct methods of building this hegemonic bloc? 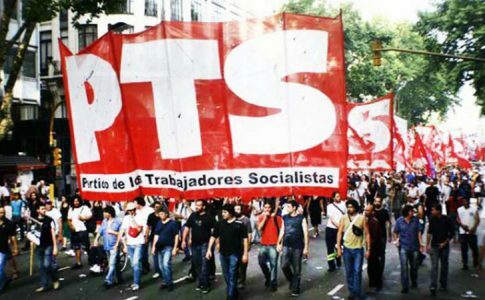 What is the correct attitude of the revolutionary working-class parties toward the struggle for these democratic demands? How does the agrarian question pose itself today, and how is it related to the national question? Together with these “classic” problems of the permanent revolution, we need to deal with another problem, the one analyzed by the Peruvian Marxist José Carlos Mariátegui: the indigenous peoples’ relation to the land question, and the nature of their specific national oppressions. While the different countries of Centroamerica face variants of these questions, their specificities result from the uneven and combined nature of the Centroamerican revolution, a process that started in 1821 and that has to date, as we shall see, left many things undone, not the least of which is the national question. Although the dream of a unified national state took different forms at different times and in different places during this 100-year period, in its federal form, this dream provided the central focus for the Centroamerican national capitalist class in formation. The project of a federal republic was initially supported by the conservative bloc, but the radical program of the liberals, especially its anticlerical component, drove the reaction to a political and military strategy of isolating this weak fraction of capital country by country. One by one, as the reactionary forces gained ascendancy in each country, even if only for a limited time, they used it as an opportunity to withdraw from the federal republic. 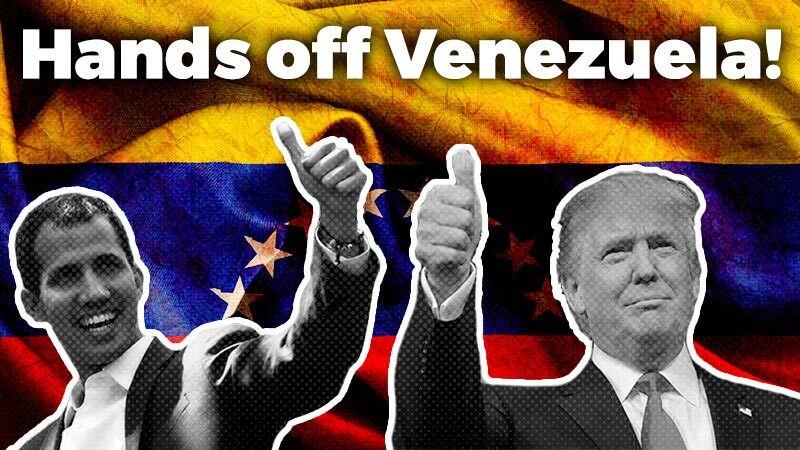 This same strategy of divide and isolate is still used today by imperialism to maintain its dominance in Central America. 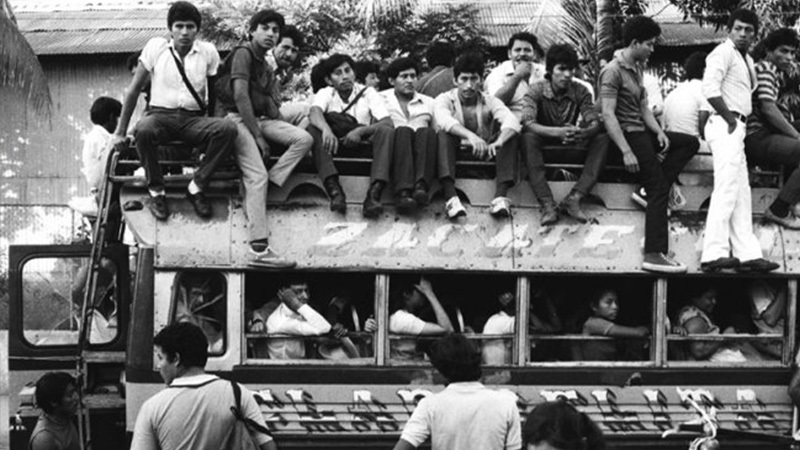 The aborted revolutions of the Sandinistas in Nicaragua and of El Salvador’s Farabundo Martí National Liberation Front—the most thoroughgoing attempts to establish bourgeois democratic republic in Centroamerican history—revealed once again the weakness of a revolution confined to a democratic, liberal program, and to the limits of the national borders of a single Central American country. The coups and countercoups that characterize the history of unstable regimes throughout Ceontroamerica can be traced to the character of the region’s class struggle, which took place within the context of, on the one hand, the rise of North American imperialism and, on the other hand, the formation of an urban working class and an impoverished peasantry and rural proletariat. These subaltern classes entered onto the stage of Centroamerican history in their own right, first in incipient form with the defeat of the imperialist William Walker in 1860, and in political form with the appearance of the revolutionary armies of Augusto Sandino and Farabundo Martí in the 1920s and 1930s, and the great cross-border banana strikes of 1933. The second article in this series will examine how North American imperialism’s strengthening grip on the countries of Centroamerica, as well as on Panama, have changed the relations between and among the region’s classes, and why the various attempts to loosen that grip have all ended in failure. 2. Morazán was not only the president of the Federal Republic but also served as president of Costa Rica, El Salvador and Honduras at different times from 1827 to 1842. During this period these countries were understood more as provinces, somewhat like the Canadian provinces before Confederation in 1867. They were, in fact, provincial administrative districts of the Spanish colonial era, ruled from Guatemala City, which in turn answered to the central apparatus located in Mexico City. Wikipedia has a very good list of sources about the life and times of Morazán here. 3. The Creole bourgeoisie, in contrast to the aristocratic landowning and pro-feudal colonial Spanish bourgeoisie, was a profoundly racially-integrated capitalist class that, while professing to desire a national project expressed through a nation-state, culturally identified as white and expressed a love for all things European. A sterling example of this contradiction is the beautiful neoclassical National Theater in downtown San José, Costa Rica, paid for by the coffee planters and urban mercantilists, with its Italian marbles and paintings, and French stone and fresco work. 4. Rafael Carrera was to Central American conservatism what Francisco Morazán was to its liberalism. Carrera, who used his crafty generalship to defeat Morazán both on the military and the political fields, served as president of Guatemala, the most important of the Central American states, naming himself dictator for life in 1854 until his death in 1865. 5. The Pact of San Jose José was the last of the 23 separate attempts to formally unify Central America. While it lasted only two years, the remnants of unified institutions, like the Central American Parliament and an integrated immigration and customs system, still exist to remind the nation of the potential for a future federation of socialist republics. 6. Marx and Engels, “Address of the Central Committee to the Communist League”, March 1950. For a detailed and scholarly history of the development of the theory from Marx and Engels to Trotsky and Rosa Luxemburg, see “Witnesses to Permanent Revolution: The Documentary Record,” edited by Richard B. Day and Daniel Gaido (Chicago: Haymarket Books, 2009). 8. Mariátegui’s categories of analysis are invaluable—whether used positively or critically—for framing the problems of the Central American revolution. This is so particularly with regard to the Northern Triangle of Guatemala, Honduras and El Salvador, the prerevolutionary hot spots, and their link with the unfolding processes in Chiapas and Oaxaca, Mexico. See in particular Mariátegui’s “Seven Essays on the Interpretation of Peruvian Reality,” written in 1928, which can be found here.